Hello there, I came across your site while searching on tips to run faster. I am in the military and one of the components of my physical fitness test is a run of 2.4km which is 1.5 miles, whichever is convenient for you. I love running, unfortunately, it's really hard for me to get the best timing. The best timing is 9 mins 45 seconds, which would be an amazing feat for me. My best timing was only 11 minutes flat, and right now, due to other commitments, I barely have time to run daily. I'll be lucky if my timing is even 12 minutes, which is the basic passing. My training consists of just, running really. I just head out and run 5-9 kilometres, depending on how I feel that day. Just constant pace, nothing much, but even doing that doesn't improve my timing. Please help. If it is not too much to ask, I would be so thankful if you could create a training plan for me. Thanks for your question about improving your running time. I'll try to give you a few running tips. I do provide full training plans customised to your specific needs which can help you improve your times. You can find more details about this service on the Best Running Coach website. The type of running you are doing, easy distance runs, is great to set you up for faster running. What you do need is consistency. Get out and run at least three times per week. Any less than that and it is hard to get improvements. Consistent running alone, even if it is just easy pace, can be enough to make you faster. However, after setting up that consistent easy running base, the cream on top is some faster running as well. These can be goal pace workouts, interval runs, fartlek or tempo runs. Preferably you mix and match to create a workout plan that gets you to achieving peak speed on race day. Given the 1.5 mile distance is pretty short, I'd advise a focus on goal pace intervals and regular interval running. Add this type of workout in at least one of your weekly runs. Even then, make sure you keep up the easy, slower running in the other workouts. 1.5 Miles is still a long way and if you don't have a good endurance base, the faster running is not going to help much. You'd be fast, but only maybe for 1/2 a mile or so. What you need is speed for a longer period of time. In order to achieve that you need the right mix of fast and slow running. About the importance of base running. How it helps and how to do it. The benefits of lactate threshold training explained. The why and how of interval running. New to speed workouts? Do some fartlek workouts. 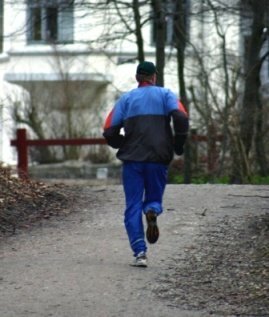 Ideas for goal pace running workouts for distances of 5k upto the marathon. Still have a look through to learn more about the concept and get some ideas for workouts.